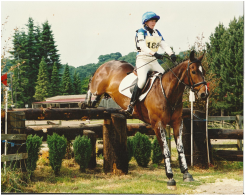 This page contains details of the horses I have had the priviledge of competing over the years, including the horses I am riding currently. I have owned Felix since a 4 year old and produced him myself from just backed. He is a super allrounder and has competed very successfully both BE & BD. He evented from the age of 6, competing for 11 consecutive seasons, winning 10 BE events and placing in many others. He has qualified for and competed at Badminton Grassroots Champs twice. With BD he has won or placed at Regional Championships at every level from Prelim to Elementary, winning a regional title along the way, as well as competing at the Winter Champs twice, finishing with a top 10 placing with a score of over 70% in 2015. Now 20 years old, after all the success we have had, he doesn't owe me anything and therefore he is taking life a little easier and enjoying lots of hacking. I bought Remus in August 2016 as a rather raw, unbacked 3 year old, from Preci Spark Stud. He is sired by Romulus, a Westphalian jumping pony and out of Welton Lady, who is by the prolific eventing stallion Welton Crackerjack. He is a half brother to the 4 Star horse Treason, who is ridden by Sarah Cohen. Remus was backed in early autumn 2016 and then turned away for the winter to grow and mature. He did a short stint of mainly hacking in May 2017 before being turned back out again. He came back into work late July and worked until mid October before going out to grass for the winter, and has now been back in work since the end of March 2018. I am very excited about producing him and developing a partnership together. I bought Leo from Gorsebridge sales in Ireland in October 2017 as an unbroken 3 year old. He is a traditionally bred Irish sport horse and is a lovely model. His Dam is full sister to the 3 star eventer Polo Striker. Leo was lightly backed in the autumn of 2017 before being turned away for the winter. He worked lightly during the summer of 2018 and \ill continue his education starting early in 2019. He is a very exciting prospect for the future! 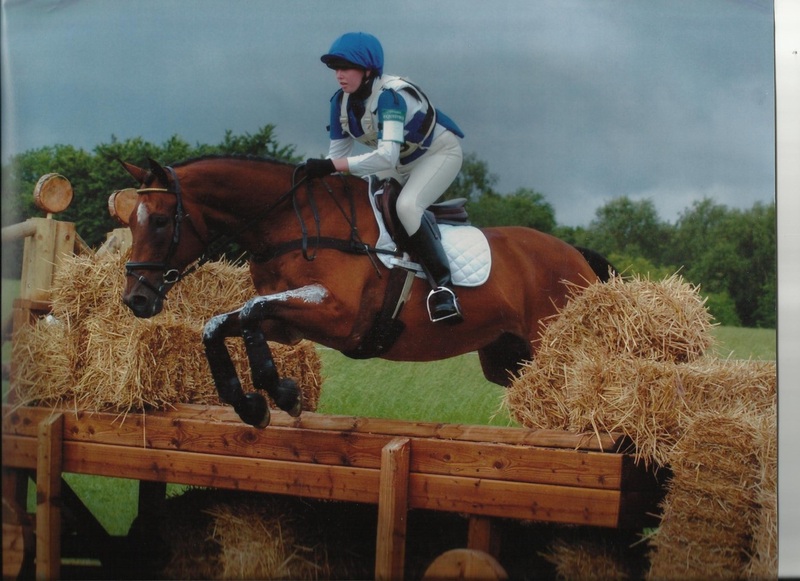 During the first half of 2016, I was lucky enough to compete Freddie at a couple of BE events as part of an arrangement to help to keep him fit and schooled whilst his owner was pregnant. Freddie has competed successfully with Laura both BE (BE90/ BE100) and BD (Novice). Freddie & I had great fun completing both of our events with top 10 placings! Woody was bought out of Ireland as a 3 year old and broken in by his owner and Carolyn Banner. 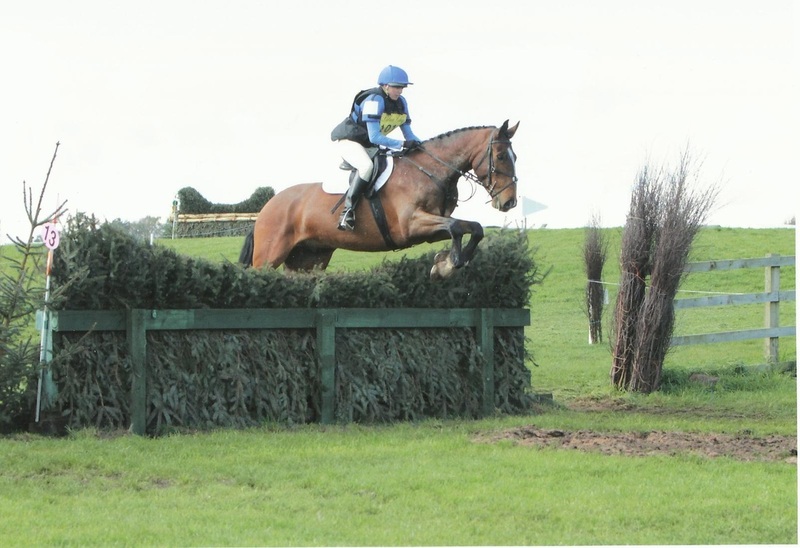 He came 5th, jumping double clear in his only Intro outing as a 4 year old at Stafford. He was then turned away for the winter and had a quiet year in 2011 due to a lack of time and other commitments. He also spent the winter of 2011 turned away and I took on the ride in February 2012. We completed Stafford, Eland Lodge and Kelsall BE90's well, with a double clear and placing at the latter. However, after numerous cancellations due to the weather it was decided that he should spend the summer doing Working Hunters with Caz before possibly hunting with Phil. I looked after and competed Onky on behalf of Terri while she was out of the country for a year. Onky is as tough as old boots! He came to me when he was 20 years old with plenty of life experience having travelled half way around the world. Terri produced him while she was still living in America and brought him over with her when she moved to the UK. He previously evented up to Intermediate level. Onky and I completed 2 events together at Marchington and Somerford but our season was a bit hit and miss due to Onky suffereing a few issues with his feet. Onky sadly passed away at 30 years old in 2014. To view a video of Onky and I eventing, click here. I bought Badger in the spring of 2003 out of a hunting home. He had also done a few Pre-Novice's with mixed results. Badger was a very talented horse but being quite long in the back he found it hard to engage and therefore struggled with the SJ phase. However, after working really hard on his weakness we were getting somewhere and we finally got our first placing at Pre-Novice level with a 5th place at Aske Hall. Unfortunately (and slightly ironically) Badger sustained an injury on the XC at this event which was to end his eventing career. He was re-homed to a lovely lady in 2005 where he enjoyed a fabulous retirement as a lawn mower and occasional happy hacker. Sadly, Badger was put to sleep in December 2012 aged 18, after an episode of colic. Queenie was the first horse that I evented at BE level. I bought her from a dealer as a very green 4 year old - I was also very green at the time being only about 14 years old! She was a very sharp, buzzy mare and I was often told that she was a 'professionals horse'. She had an amazing amount of scope but had a somewhat unconventional technique over a fence, to say the least! After a few unaffiliated one day events we completed a few BE events together including jumping clear around Osbaldeston and Tetton Hall Pre Novice's, which was the lowest level of BE in those days. Later the same season she went on loan as I went off to work as a groom for a professional event rider and was unable to take her with me. She was later sold to Guernsey as a show jumper where she has had much success.